A couple poems of mine are up at iO: A Journal of New American Poetry. If you’ve bought cut sunflowers often enough to know better (they always die immediately) or share my feeling that the seasons can’t change quickly enough, you might enjoy them. There’s lots of other work there to enjoy, too; iO is marvelously well-curated thanks to editors Kyle McCord and Wendy Xu. While you’re there, maybe say what up to Betsy Wheeler or Sam Cha. “Who told the monarchs to migrate? How exciting for bird lovers! 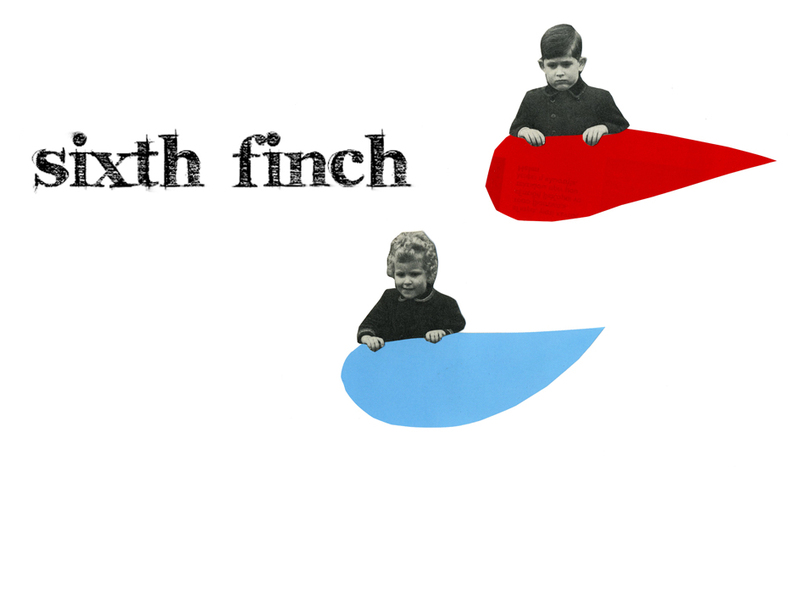 My poem “The birds on the streets in the trees” is in the new (as in just launched yesterday) issue of Sixth Finch. Along with another poem, “An economy,” which is about gear–not birding gear exactly, but close. It’s also about being polite. Also at the Finch, you’ll find poems by Mike Young, Martin Rock, and others, along with some cool art. And when I say cool, I mean cool. And, in case you hadn’t had the chance, yet, to pick up a copy of everyone’s favorite tall literary magazine, I also have a new poem (“The box”) in Conduit #21, “Bodies in Motion.” And it also features naked pictures of athletes, plus poems by Noah Gershman, Ben Kopel, and Amanda Nadelberg, which are kind of the same thing. Not that the poems are the same as each other–that they’re all similar to naked athletes. In the way where you just want to keep looking at them. The thing is that whenever a larger force is acting upon your emotions (e.g. hormones, or some fast-approaching deadline) it really helps to recognize that. It gets easier to deal with those emotions, somehow, once you’ve diagnosed them. I find that I usually make said diagnosis just a little late. So Sunday afternoon (we don’t have to go into what happened Saturday night), I answered my own question. NO, IT’S NOT FOREVER! I realized I was actually graduating. God, when I graduated from college, I cried for a month. (Happy tears.) At some level, of course, I knew that my time here was coming to an end–Ben and I have begun the apartment hunt in New York–but now I understand the emotional Technicolor I’m experiencing. Into said emotional technicolor comes notnostrum’s review of THE TIDE. I read it and I thought, these guys are such good readers. And what a rare skill that is. And I felt so grateful for the community of which I’ve been privileged to be part over these last three years. And I thought, I am so, so glad that the Pioneer Valley isn’t very far from New York. Excuse me while I clear my throat. Obviously I’m a bit rusty. Sorry for the long silence. I break it with two bits of news! First, for those of you in the Pioneer Valley–I’ll be reading at Live Lit on Friday night. And I’m delighted to be reading with Christy Crutchfield, Katie Hoffman, and Gustavo Llarull. It’s at 8 pm, at Amherst Books as usual. Come, and be delighted! Second, for those of you on the internet. There is a prize to be won, a prize-winning prize. You’re witty. Visit this delightful blog, write some witty captions, and if you win (over the forces of darkness), they will send you a copy of Jedediah Berry’s THE INSTRUCTION MANUAL. You lucky god, you. So Jack sent around a link to Wordle, a website that will make you a weighted map of the words in any given piece of text. Here’s one for my manuscript-in-progress, “Open Season.” And here’s one I made of a chapter (“The Lobster Quadrille”) in Alice’s Adventures in Wonderland. It isn’t the Puppy Channel, but it’s still pretty cool.